How do we define a "good" or "best" school for children with autism? The reality is that there is no such thing as a "best" school for children with autism. That's because everyone has a different idea about what's "best" for a child with autism, and every child with autism is different. All children with autism should be fully included in general education classrooms — period. Support, in the form of 1:1 aide, should be provided as needed. No children with autism should be fully included in general education classrooms because they have specific needs that can only be fulfilled in smaller settings by people with appropriate training. Children with autism should receive intense behavioral (ABA) therapy as a major element of their school program. Children with autism should not receive behavioral therapy but instead should receive developmental therapy. Children with autism should attend private schools specifically designed for their particular needs. Children with autism should be supported in public schools which are required by law to offer a "least restrictive environment." A very bright, high-functioning child may have a terrible experience in an inclusive school because he is very sensitive to bright lights and loud sounds that make daily life excruciating. A cognitively challenged child with relatively severe symptoms may have a terrific experience in the same school because he has few sensory issues and is quite comfortable in the physical setting. One child may respond very well to behavioral therapy and learn a great deal quickly, while another child with similar symptoms may not respond or may find the therapy itself to be unpleasant. Some children with autism actively want to participate in social events, while others have no desire to do so — so inclusion can be positive or negative depending on the child's personal preferences. A particular therapist can be a "miracle worker" for one child but find it very difficult to reach and help another child. As a result of parental pressure, budgets, local resources and district philosophy, schools vary tremendously in what they offer - and parents vary in how they respond. Some schools are terrific for kids with Aspergers (high functioning autism), while others have terrific life skills programs. Some are gung-ho for inclusion, while others feel specialized programs are the way to go. And still, others are generous with their cash for private settings. Some have ABA classes; some use RDI or Floortime or TEACCH (all of which are developmental educational approaches for children on the spectrum). 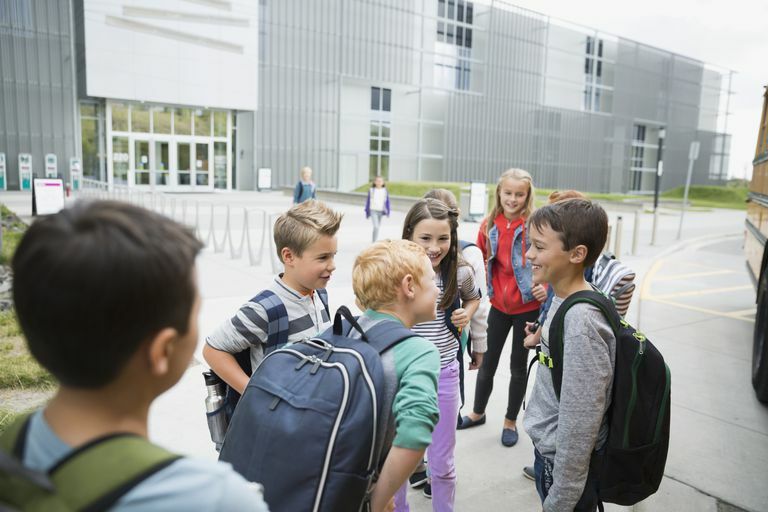 To find the school that's right for your child, select on a few locations that look promising, and then connect with parents in those areas through Autism Society of America chapters and special ed parent groups. Find out what parents think, what's offered, etc. Then visit. When you visit, remember that you are probably seeing only a small aspect of the full school experience. Remember, too, that you are seeing the experience through your own eyes, and not your child's. You may want to envision your child in an inclusive setting — but is it really the best choice for your particular son or daughter? Ask lots of questions, and, if you can, observe more than once. Once you've chosen a setting, it's important to know that you will need to stay on top of the situation to ensure that your child is really getting the services and opportunities promised by the administration. If things are not working out well, make your concerns known. As a parent, you do have power — as vested in you by the federal Individuals with Disabilities Education Act!